3500201 EX5 HITACHI EX5 Crawler excavator. Spare Parts Catalog. Service (workshop) Manual. Operator's Manual. 3500202 EX8 HITACHI EX8 Crawler excavator. Spare Parts Catalog. Service (workshop) Manual. Operator's Manual. 3500203 EX12 HITACHI EX12 Crawler excavator. Spare Parts Catalog. Service (workshop) Manual. Operator's Manual. 3500204 EX15 HITACHI EX15 Crawler excavator. Spare Parts Catalog. Service (workshop) Manual. Operator's Manual. 3500205 EX15U-DH HITACHI EX15U-DH Crawler excavator. Spare Parts Catalog. Service (workshop) Manual. Operator's Manual. 3500206 EX17U HITACHI EX17U Crawler excavator. Spare Parts Catalog. Service (workshop) Manual. Operator's Manual. 3500207 EX17UNA HITACHI EX17UNA Crawler excavator. Spare Parts Catalog. Service (workshop) Manual. Operator's Manual. 3500208 EX18 HITACHI EX18 Crawler excavator. Spare Parts Catalog. Service (workshop) Manual. Operator's Manual. 3500209 EX20UR HITACHI EX20UR Crawler excavator. Spare Parts Catalog. Service (workshop) Manual. Operator's Manual. 3500210 EX20URG HITACHI EX20URG Crawler excavator. Spare Parts Catalog. Service (workshop) Manual. Operator's Manual. 3500211 EX22 HITACHI EX22 Crawler excavator. Spare Parts Catalog. Service (workshop) Manual. Operator's Manual. 3500212 EX25 HITACHI EX25 Crawler excavator. Spare Parts Catalog. Service (workshop) Manual. Operator's Manual. 3500213 EX27U HITACHI EX27U Crawler excavator. Spare Parts Catalog. Service (workshop) Manual. Operator's Manual. 3500214 EX27U-DH HITACHI EX27U-DH Crawler excavator. Spare Parts Catalog. Service (workshop) Manual. Operator's Manual. 3500215 EX29UE HITACHI EX29UE Crawler excavator. Spare Parts Catalog. Service (workshop) Manual. Operator's Manual. 3500216 EX30 HITACHI EX30 Crawler excavator. Spare Parts Catalog. Service (workshop) Manual. Operator's Manual. 3500217 EX30U HITACHI EX30U Crawler excavator. Spare Parts Catalog. Service (workshop) Manual. Operator's Manual. 3500218 EX30UR HITACHI EX30UR Crawler excavator. Spare Parts Catalog. Service (workshop) Manual. Operator's Manual. 3500219 EX30URG HITACHI EX30URG Crawler excavator. Spare Parts Catalog. Service (workshop) Manual. Operator's Manual. 3500220 EX30 HITACHI EX30 Crawler excavator. Spare Parts Catalog. Service (workshop) Manual. Operator's Manual. 3500221 EX33MU HITACHI EX33MU Crawler excavator. Spare Parts Catalog. Service (workshop) Manual. Operator's Manual. 3500222 EX33U HITACHI EX33U Crawler excavator. Spare Parts Catalog. Service (workshop) Manual. Operator's Manual. 3500223 EX35 HITACHI EX35 Crawler excavator. Spare Parts Catalog. Service (workshop) Manual. Operator's Manual. 3500224 EX35U HITACHI EX35U Crawler excavator. Spare Parts Catalog. Service (workshop) Manual. Operator's Manual. 3500225 EX35U-DH HITACHI EX35U-DH Crawler excavator. Spare Parts Catalog. Service (workshop) Manual. Operator's Manual. 3500226 EX35 HITACHI EX35 Crawler excavator. Spare Parts Catalog. Service (workshop) Manual. Operator's Manual. 3500227 EX40 HITACHI EX40 Crawler excavator. Spare Parts Catalog. Service (workshop) Manual. Operator's Manual. 3500228 EX40U HITACHI EX40U Crawler excavator. Spare Parts Catalog. Service (workshop) Manual. Operator's Manual. 3500229 EX40UR HITACHI EX40UR Crawler excavator. Spare Parts Catalog. Service (workshop) Manual. Operator's Manual. 3500230 EX45 HITACHI EX45 Crawler excavator. Spare Parts Catalog. Service (workshop) Manual. Operator's Manual. 3500231 EX50U HITACHI EX50U Crawler excavator. Spare Parts Catalog. Service (workshop) Manual. Operator's Manual. 3500232 EX50U-DH HITACHI EX50U-DH Crawler excavator. Spare Parts Catalog. Service (workshop) Manual. Operator's Manual. 3500233 EX50UR HITACHI EX50UR Crawler excavator. Spare Parts Catalog. Service (workshop) Manual. Operator's Manual. 3500234 EX50URG HITACHI EX50URG Crawler excavator. Spare Parts Catalog. Service (workshop) Manual. Operator's Manual. 3500235 EX58MU HITACHI EX58MU Crawler excavator. Spare Parts Catalog. Service (workshop) Manual. Operator's Manual. 3500237 EX60 HITACHI EX60 Crawler excavator. Spare Parts Catalog. Service (workshop) Manual. Operator's Manual. 3500238 EX60G HITACHI EX60G Crawler excavator. Spare Parts Catalog. Service (workshop) Manual. Operator's Manual. 3500239 EX60SR HITACHI EX60SR Crawler excavator. Spare Parts Catalog. Service (workshop) Manual. Operator's Manual. 3500240 EX60UR HITACHI EX60UR Crawler excavator. Spare Parts Catalog. Service (workshop) Manual. Operator's Manual. 3500241 EX60WD HITACHI EX60WD Crawler excavator. Spare Parts Catalog. Service (workshop) Manual. Operator's Manual. 3500242 EX75UR HITACHI EX75UR Crawler excavator. Spare Parts Catalog. Service (workshop) Manual. Operator's Manual. 3500243 EX75URT HITACHI EX75URT Crawler excavator. Spare Parts Catalog. Service (workshop) Manual. Operator's Manual. 3500244 EX80U HITACHI EX80U Crawler excavator. Spare Parts Catalog. Service (workshop) Manual. Operator's Manual. 3500245 EX90 HITACHI EX90 Crawler excavator. Spare Parts Catalog. Service (workshop) Manual. Operator's Manual. 3500246 EX100 HITACHI EX100 Crawler excavator. Spare Parts Catalog. Service (workshop) Manual. Operator's Manual. 3500247 EX100M HITACHI EX100M Crawler excavator. Spare Parts Catalog. Service (workshop) Manual. Operator's Manual. 3500248 EX100T HITACHI EX100T Crawler excavator. Spare Parts Catalog. Service (workshop) Manual. Operator's Manual. 3500250 EX135UR HITACHI EX135UR Crawler excavator. Spare Parts Catalog. Service (workshop) Manual. Operator's Manual. 3500251 EX135USR HITACHI EX135USR Crawler excavator. Spare Parts Catalog. Service (workshop) Manual. Operator's Manual. 3500252 EX135USRK HITACHI EX135USRK Crawler excavator. Spare Parts Catalog. Service (workshop) Manual. Operator's Manual. 3500254 EX150 HITACHI EX150 Crawler excavator. Spare Parts Catalog. Service (workshop) Manual. Operator's Manual. 3500256 EX200 HITACHI EX200 Crawler excavator. Spare Parts Catalog. Service (workshop) Manual. Operator's Manual. 3500257 EX200K HITACHI EX200K Crawler excavator. Spare Parts Catalog. Service (workshop) Manual. Operator's Manual. 3500259 EX220 HITACHI EX220 Crawler excavator. Spare Parts Catalog. Service (workshop) Manual. Operator's Manual. 3500260 EX220LC HITACHI EX220LC Crawler excavator. Spare Parts Catalog. Service (workshop) Manual. Operator's Manual. 3500261 EX225USR HITACHI EX225USR Crawler excavator. Spare Parts Catalog. Service (workshop) Manual. Operator's Manual. 3500262 EX225USRK HITACHI EX225USRK Crawler excavator. Spare Parts Catalog. Service (workshop) Manual. Operator's Manual. 3500263 EX225USR(LC) HITACHI EX225USR(LC) Crawler excavator. Spare Parts Catalog. Service (workshop) Manual. Operator's Manual. 3500264 EX225USRK(LC) HITACHI EX225USRK(LC) Crawler excavator. Spare Parts Catalog. Service (workshop) Manual. Operator's Manual. 3500265 EX270 HITACHI EX270 Crawler excavator. Spare Parts Catalog. Service (workshop) Manual. Operator's Manual. 3500266 EX270LC HITACHI EX270LC Crawler excavator. Spare Parts Catalog. Service (workshop) Manual. Operator's Manual. 3500268 EX300 HITACHI EX300 Crawler excavator. Spare Parts Catalog. Service (workshop) Manual. Operator's Manual. 3500269 EX300H HITACHI EX300H Crawler excavator. Spare Parts Catalog. Service (workshop) Manual. Operator's Manual. 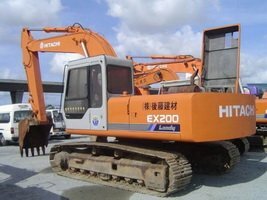 3500270 EX300LC HITACHI EX300LC Crawler excavator. Spare Parts Catalog. Service (workshop) Manual. Operator's Manual. 3500271 EX300LCH HITACHI EX300LCH Crawler excavator. Spare Parts Catalog. Service (workshop) Manual. Operator's Manual. 3500272 EX345USR(LC) HITACHI EX345USR(LC) Crawler excavator. Spare Parts Catalog. Service (workshop) Manual. Operator's Manual. 3500273 EX385USR HITACHI EX385USR Crawler excavator. Spare Parts Catalog. Service (workshop) Manual. Operator's Manual. 3500274 EX400 HITACHI EX400 Crawler excavator. Spare Parts Catalog. Service (workshop) Manual. Operator's Manual. 3500275 EX550 HITACHI EX550 Crawler excavator. Spare Parts Catalog. Service (workshop) Manual. Operator's Manual. 3500276 EX700 HITACHI EX700 Crawler excavator. Spare Parts Catalog. Service (workshop) Manual. Operator's Manual. 3500277 EX1000 HITACHI EX1000 Crawler excavator. Spare Parts Catalog. Service (workshop) Manual. Operator's Manual. 3500278 EX1800 HITACHI EX1800 Crawler excavator. Spare Parts Catalog. Service (workshop) Manual. Operator's Manual. 3500279 EX2500 HITACHI EX2500 Crawler excavator. Spare Parts Catalog. Service (workshop) Manual. Operator's Manual. 3500280 EX3500 HITACHI EX3500 Crawler excavator. Spare Parts Catalog. Service (workshop) Manual. Operator's Manual. 3500281 EX5500 HITACHI EX5500 Crawler excavator. Spare Parts Catalog. Service (workshop) Manual. Operator's Manual. 3500282 EX8000 HITACHI EX8000 Crawler excavator. Spare Parts Catalog. Service (workshop) Manual. Operator's Manual.